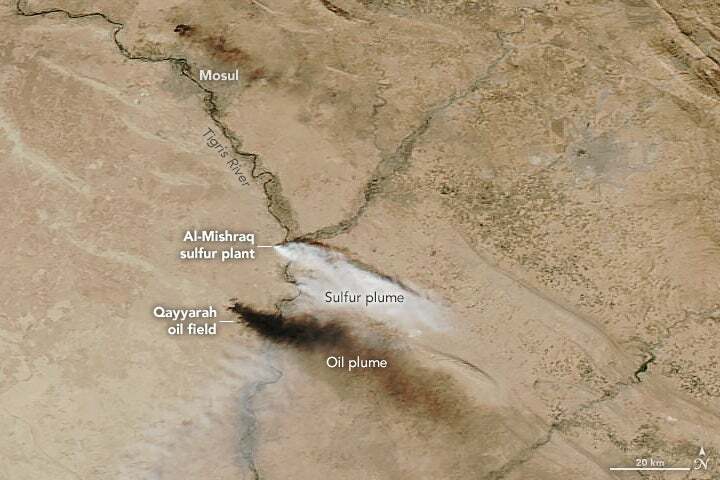 This isn't the first time the Al-Mishraq sulphur mine and processing facility has caught fire: As NASA's Earth Observatory points out, a similar disaster occurred more than a decade ago, in June 2003. That time, the fire raged for a month, releasing a total of 600 kilotons of sulphur dioxide and becoming the largest non-volcanic sulphur plume ever measured by satellites. Sulphur dioxide — the colourless, noxious gas that forms when sulphur is combusted — is not something you want to be around. At low levels of exposure, it causes eye and skin irritation and triggers respiratory problems. 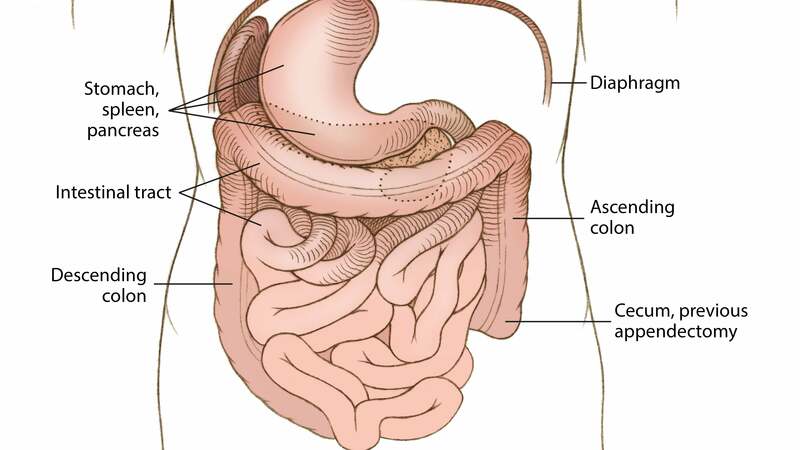 Even short-term exposure to high concentrations of the stuff can be life threatening. Children may be especially vulnerable to its toxic effects, because they breath more air for their body weight than adults do. According to the Wall Street Journal, the blaze at the sulphur plant was in the process of being extinguished over the weekend. 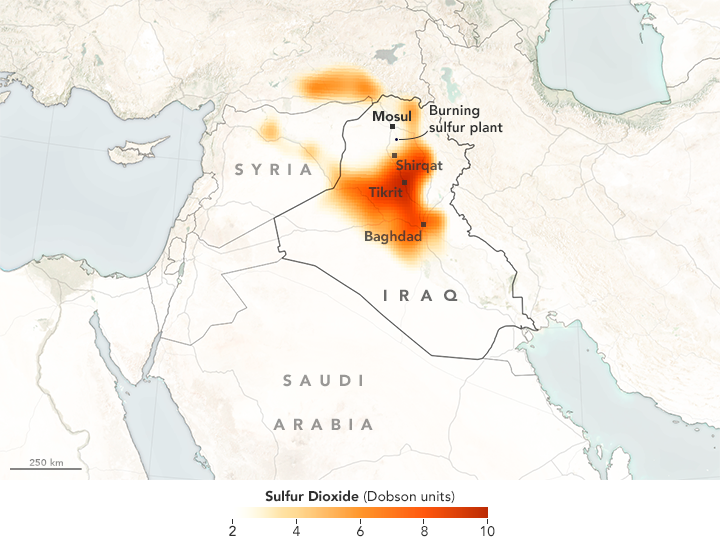 But the toxic plume from the incident continues to spread across northern and central Iraq, recently attaining a higher altitude that could allow it to be transported far and wide by strong atmospheric winds. While bad news for the region as a whole, dissipation of the plume could offer some relief to residents of Mosul. Elevated sulphur dioxide levels have already been implicated in two deaths, and have caused up to a thousand more to fall sick. Over the longer term, high concentrations of sulphur dioxide can cause acid rain, stripping nutrients out of soil and contaminating local water supplies.